Our upcoming show, May 24th, has been canceled. Due to circumstances beyond our control, the Classic Pro Wrestling show on May 24th has been canceled. 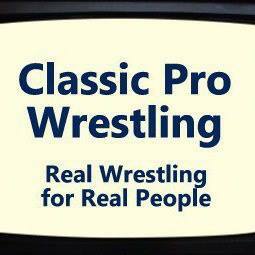 Classic Pro Wrestling is committed to returning to the Heard County Middle School and will be back during the upcoming 2013-2014 school year. Thanks to the staff HCMS, especially Coach Allen Sikes, for their continued support of professional wrestling. We have a great relationship with HCMS and have big plans for our return. Our next step is exciting. We are actively searching for our own building! Check back soon for an update. Check out the Will Grason Memorial web site for more info on this huge show! Get ready for a HUGE afternoon of professional wrestling this Saturday, My 11th, by purchasing your discounted advance tickets now! Contact Key Foundation Inc at (770) 574-5550 or Team WILLpower General Manager Brandon McClure at (678) 492-8646. A HUGE Main Event to be announced featuring the biggest feud in the history of Haralson County! Plus "The Jailhouse Rocker" Terry Lawler, Brian Alexander, Jimmy the Kid, Wrestling's Wonder Woman Sabrina and much, much more!! CPW returns to Franklin, GA on May 24th! Kick off your Memorial Day weekend at Heard County Middle School! Our Main Event features a No DQ Match: Anthony Henry vs "Hit for Hire" Bobby Moore! New Tradition, Chick Donovan, The Gym Class Heroes, Brian Alexander, Sylar Cross and more CPW stars. Check back soon for more info and the full card.